When it comes to arcade shoot ’em ups, the only titles that continue to draw crowds and leave a lasting impression are those that try something different. 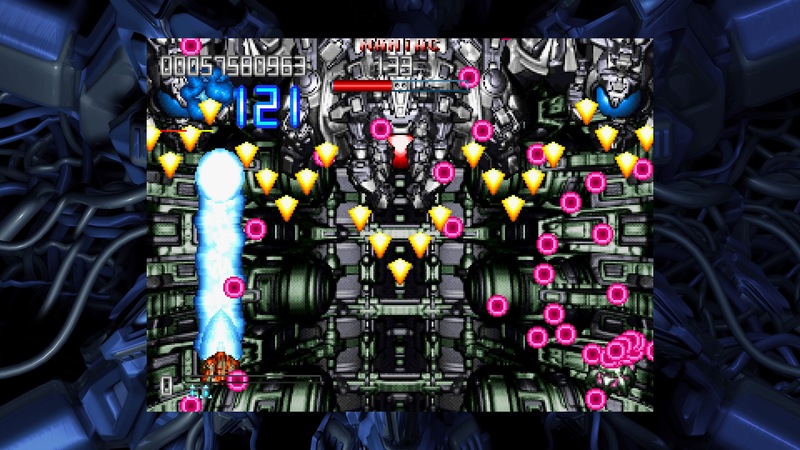 I’m referring to SHMUPs that possess that unique twist on traditional gameplay, include special power-ups or weapons, or have an enthralling art-style. For example, names like R-Type, Gradius, or Radiant Silvergun are still remembered fondly to this day. When I launched Fast Striker for the first time on my Vita, I went in with the intention of finding one of those unique elements to talk about. I first came across Fast Striker while perusing the catalog of physical PS Vita games on PlayAsia’s website. At the time, I was amused by the fact that the physical version of this game is exclusive to the site. Even more amusing, I found that the game was initially developed for the Neo Geo MVS and ported to the Sega Dreamcast soon after. This PSN release is another port of the title, now for modern consoles. Having said all that, I initially skipped over it because it didn’t really stand out to me. Now that I’ve had a chance to play it myself (both on the Vita and on PS4), I can say that my opinion remains largely the same. But before you ignore it outright, allow me to elaborate a bit further. At its core, Fast Striker is a very competent SHMUP. Throughout my time playing, I didn’t notice any glaring issues with the hit detection, the controls, or really any aspect of the gameplay. If you’ve ever played a vertical-scrolling spaceship shooter before, controlling your ship in this game should come quite naturally. The hit-detection seems to be more or less forgiving depending on which difficulty you choose. The controls allow for either D-pad or left analog stick movement, though my personal preference was to use the analog stick. You are able to shoot in multiple bursts, solid beams, or charge your shields and ram your ship into enemies. This last option is nice, but limited to just a few uses per level. In terms of sound design, the developers chose to go with a nice selection of upbeat trance music. The tracks will vary by level and boss-battle, though no particular track stands out as overly distinct from the rest. The sound-effects are fair enough, though some of them are a bit strange. There is one “enemy” who occasionally shows up and makes a sound that I can only describe as a child sighing. I put enemy in quotes because this particular enemy doesn’t attack you and is essentially just cannon fodder to obtain a shield power-up. The art design and animations are where this game excels the most. The enemy sprites range from decent to really impressive. The smaller, less-than-challenging enemies are fairly basic in their design while larger, more formidable foes are a lot more detailed. The bosses which appear at the end of each level are particularly elaborate and often have multiple forms. Animation-wise, everything runs smoothly, with no noticeable lag (even on the Vita). You would expect as much from a fast-paced game like this, but it is nice to see nonetheless. Some of the larger enemies scale in from the background to the foreground quite gracefully. While most of the game’s images are displayed using sprites, the background has a distinctly CG look to it which makes it really stand out (in a good way). There is also some nice parallax scrolling between the background and midground layers which I found quite appealing. Believe me, these screenshots really don’t convey how nice everything looks. Now that we’ve talked art design, I’d like to highlight some of the graphical tweaks that can be made in the settings. First and foremost, you can choose between two preset aspect ratio options: 1×1 and full vertical scale. You can also adjust the X and Y dimensions independently, but I found no practical reason to do so. The best option is to use the 1×1 ratio, as this offers the sharpest image. Having said that, using this option on the Vita makes the on-screen image a bit too small for my tastes. No matter which preset option you choose, I found that playing this on the Vita was a bit straining on the eyes. The full vertical scale option uses a bit more of the screen, but the sprites don’t seem as detailed and I found that to be somewhat disappointing. If you play this on a proper TV using a PSTV or PS4, I would definitely keep full vertical scale off. Another graphics option that I’m sure many will appreciate is the inclusion of scanlines. Love them or hate them, many people (myself included) appreciate the look and feel of scanlines when playing games that use sprites. 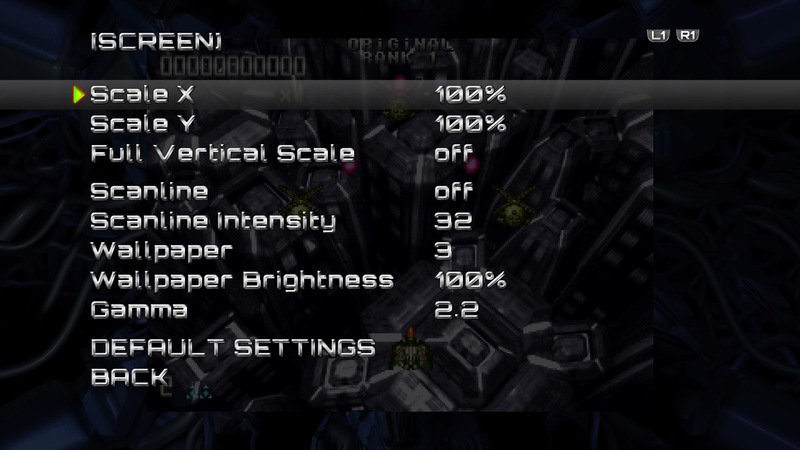 What’s nice about the scanlines option is that you can adjust the intensity of the lines to meet your needs. I prefer not to use really dark lines as they tend to darken the overall image. On the other end, using lines that are barely visible defeats the purpose. Having the option to fine tune the intensity of these lines is a big positive for me. I’ve highlighted some of the nicer aspects of this title, so let’s shift gears and talk about some of the downsides. The first of these is the issue of power-ups. Often seen as a staple for these types of games, I can’t say that this one includes many power-ups. You can obtain a single item to charge your shields, you can collect items that increase your score, but your weapons are completely immutable (unless you switch modes). I didn’t expect this game to blatantly rip-off Gradius, but having some form of power-up or weapon upgrade system would have been a nice addition. Changing difficulty modes adds additional weapon abilities (e.g. solid beams of energy in addition to standard bullets), but the weapons that you start with are the weapons you will end with. Speaking of difficulty, this game has 4 modes: Novice, Original, Maniac, and Omake. Original mode is essentially “easy” while novice is “beginner”. Neither of these modes pose any real challenge, but are a nice way of blowing through levels quickly to grab screenshots and earn trophies. It’s rather interesting that aside from the trophies earned in these two easier modes, all the other, harder trophies are exceptionally rare (few players have earned them). Having said all that, Maniac mode is what I would recommend for most players. This mode is closer to what I’d expect from normal, with just a little more challenge thrown in. Omake mode makes a big leap from the rest. I’d classify it as “very hard”. 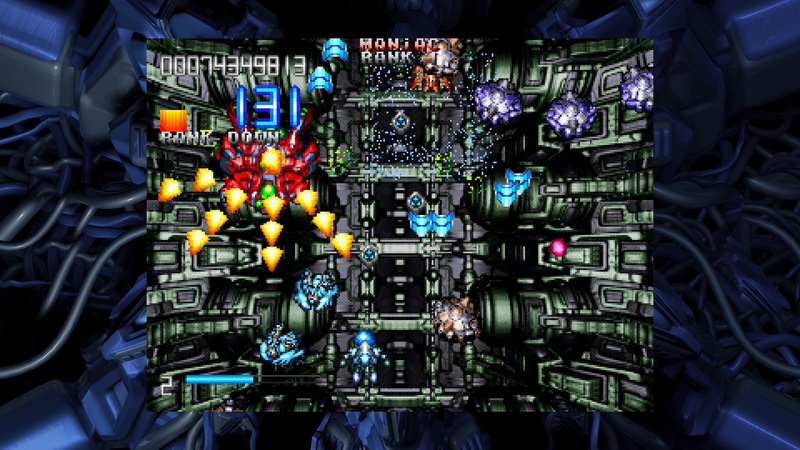 Both the Maniac and Omake modes add the additional gameplay element of a depleting chain meter. As you destroy enemies without taking damage, your chain counter increases (along with this meter). If you don’t continuously increase this counter, the meter will begin to slowly deplete. After a few seconds of not increasing, the meter will begin to fall rapidly. You can prevent this meter from falling all the way to zero by starting the chain again. 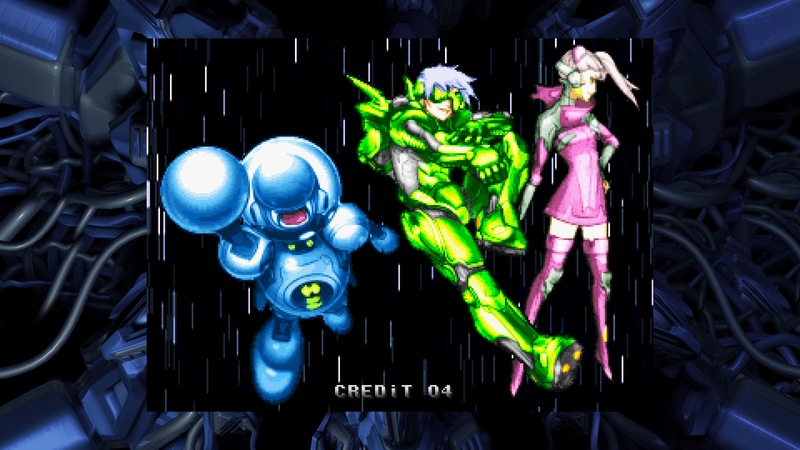 While the chain combos are present in all gameplay modes, the meter and it’s tendency to deplete exist only in Maniac and Omake mode. I found this concept to be really neat and it made the harder modes stand out as the more impressive ones. At the end of the day (having played the game for about 2 weeks (roughly 1-1.5 hr/day), I came back to that initial question that I set out with – What unique element sets this game apart from all the others? The gameplay is pretty standard fare, the music is nice, but unmemorable, and there is no defined story or end goal. The one aspect that did stand out to me was the quality of the animations. I can’t put my finger on why, but the animations used for a lot of the larger enemies, bosses, and even the backgrounds were really impressive to me. Were they game-changing? I wouldn’t go that far, but they definitely impressed me and helped make the game feel somewhat distinct. 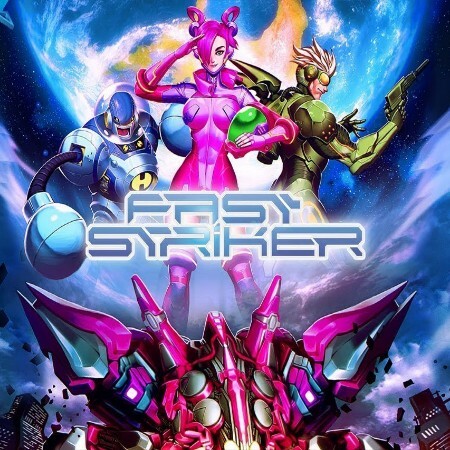 Fast Striker currently retails for $6.99 on the PSN. Playing on PS4 is a much nicer experience than on the Vita, but this type of game tends to work best when played in shorter bursts or while on the go. If you’re interested in the limited physical editions, PlayAsia still has both PS4 and Vita copies. Given the low price point and overall level of enjoyment that I received, I’d say this one’s still worth a look.